Chase Elliott lead happy hour from Martinsville Speedway Saturday afternoon. He posted a lap time of 19. 413 seconds early in the final practice session, and no one was able to best him. Six of the top-10 were comprised of Chevrolets. Two of Elliott’s three teammates were in the top-five with him: Alex Bowman was second fastest Jimmie Johnson was third. The trio’s fourth teammate, William Byron was only 23 fastest. Kyle Busch, who recently collected his 200 win in a NASCAR national series race, was 18 quickest in single lap times. 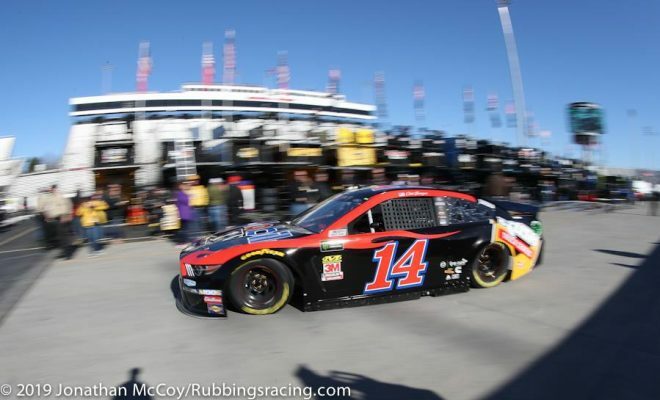 Of course the 10-lap average is the real benchmark of speed at Martinsville Speedway. In that category he was third best. 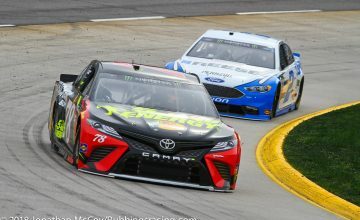 Last year’s STP 500 winner, Clint Bowyer had the second fastest 10-lap average; and Martin Truex Jr., the driver who was pushed out of the way in the final turn of last Fall’s race, was the leader in the category. His best average speed over 10 laps was 95.445 miles per hour. 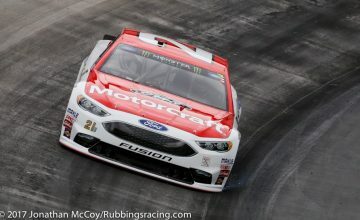 Qualifying will take place at 5 p.m. Saturday evening, immediately following the NASCAR Gander Outdoor Truck Series race.